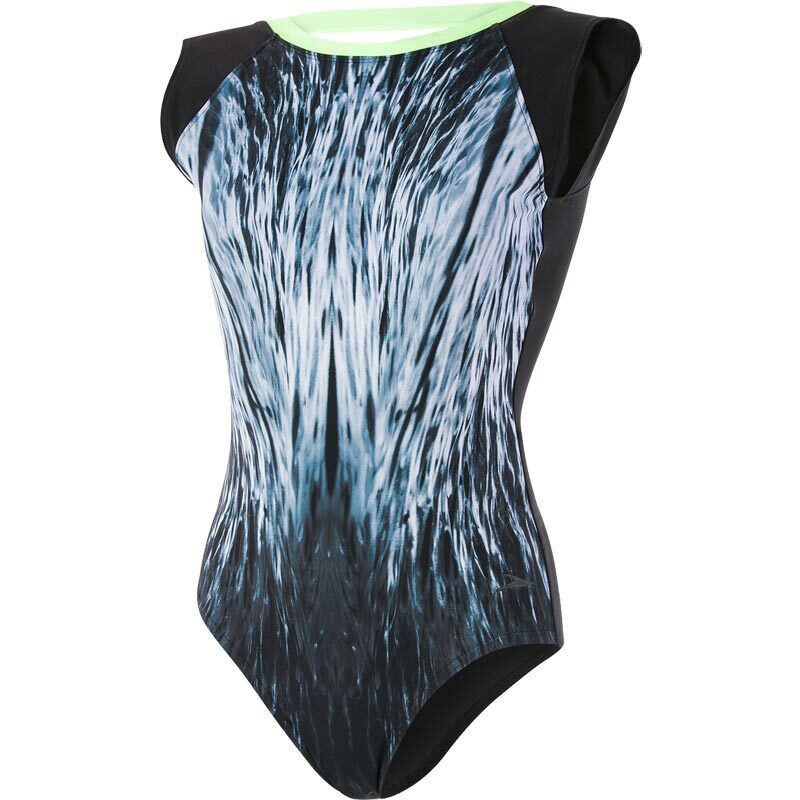 The stunning Speedo ® Crystalsheen Printed Swimsuit features cap sleeves and an elegant wrap effect back. The mirror image digital print is designed to lengthen the body, while the print shapes and enhances feminine curves. All Speedo ® Sculpture swimsuits have hidden bust support, tummy control and all over body shaping fabric for a comfortable, flattering fit whilst still delivering maximum performance. All-over body shaping with lightweight, shaping fabric that smooths and flatters in all the right places. Medium bust support with a hidden bust shelf liner to ensure a great fit. Control fabric combines shapewear innovation with swimwear technology. Controls the body and gives a smooth silhouette. Ultra chlorine resistant LYCRA EXTRA LIFE lasts twice as long as standard swimwear fabrics.